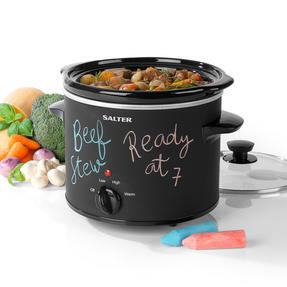 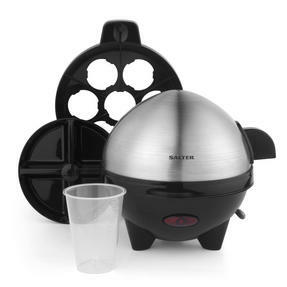 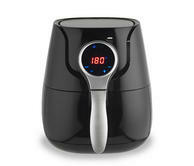 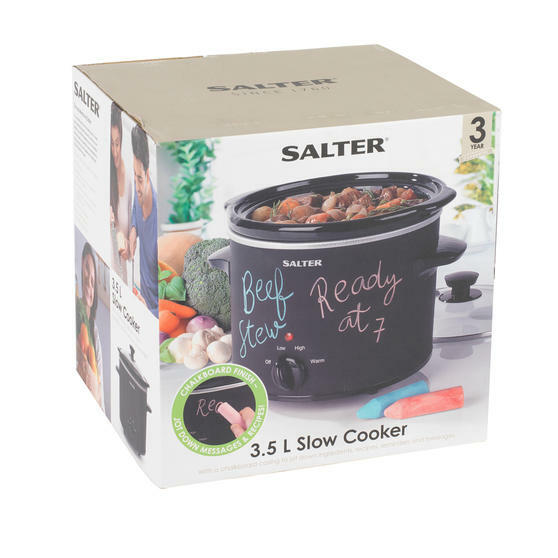 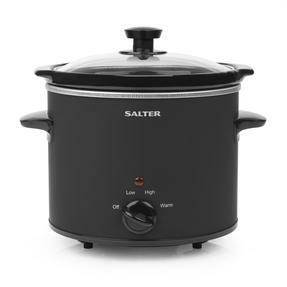 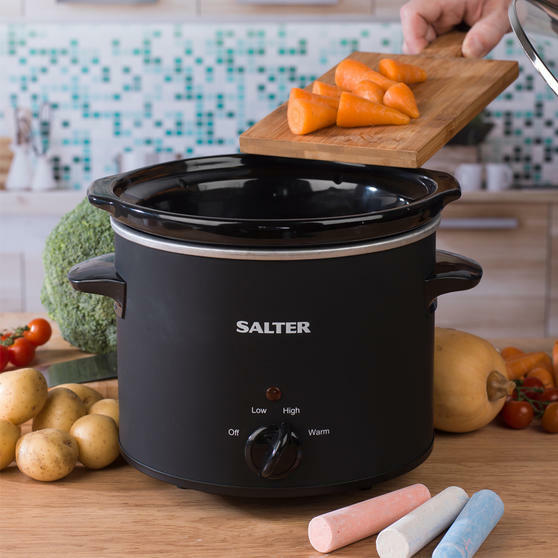 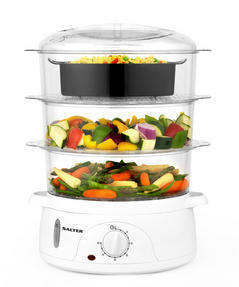 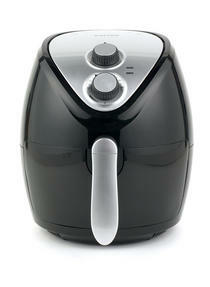 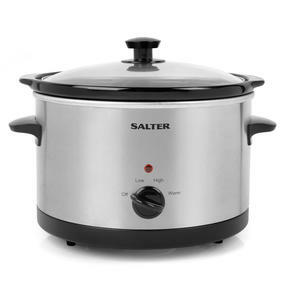 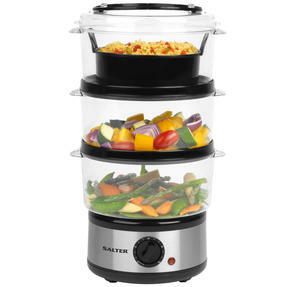 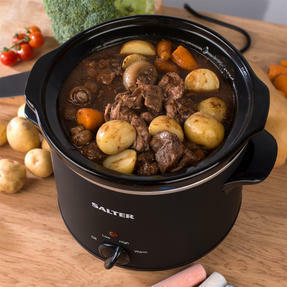 For an easier and healthier way to cook, look for the Salter 3.5 L Chalkboard Slow Cooker. 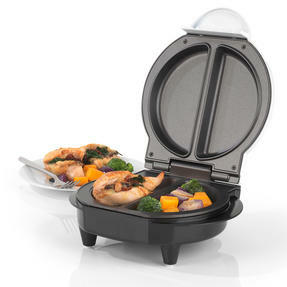 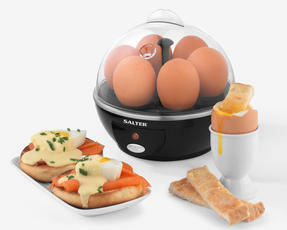 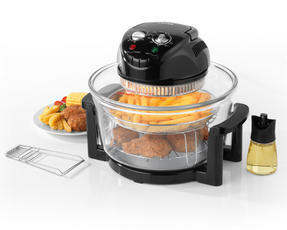 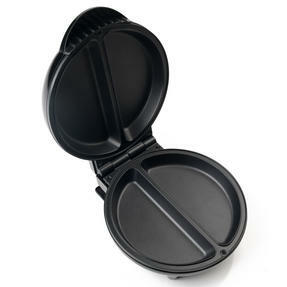 Simple to use, you can prepare your meals then place it all into the pot to cook whilst you relax. 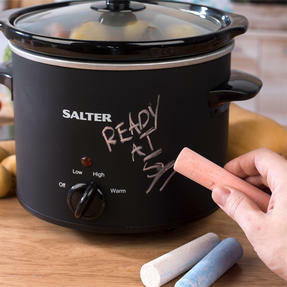 Ideal for soups, stews, casseroles, desserts and more, this fun chalkboard slow cooker allows you to jot down ingredients, recipes and fun messages for the family. 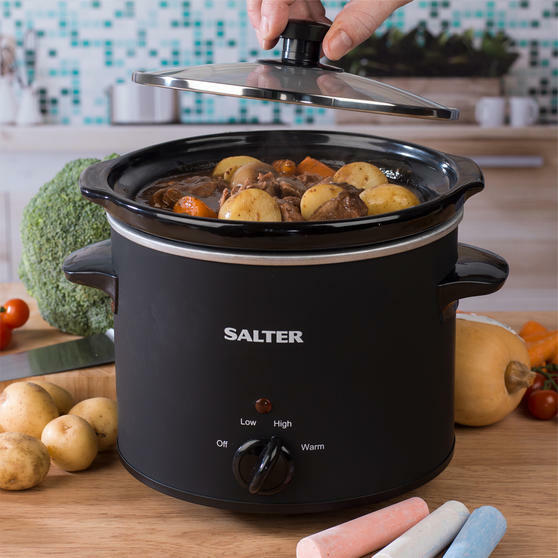 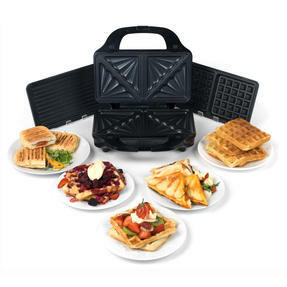 With three heat settings, cool-touch handles and a removable ceramic inner pot for easy cleaning, eating healthier has never been simpler. Make the most of your precious time and forget about slaving over a hot stove thanks to the Salter Chalkboard Slow Cooker. 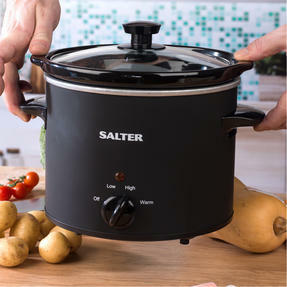 Ideal for soups, stews, casseroles and more, the cooker has a generous 3.5 litre capacity – plenty of space for healthy family meals. 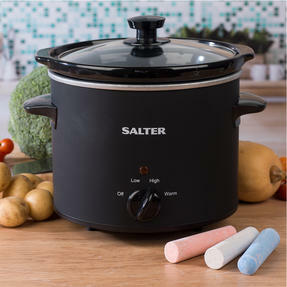 A removable ceramic pot is housing in stainless steel with a chalkboard casing - a sleek and fun design for everyone to enjoy. 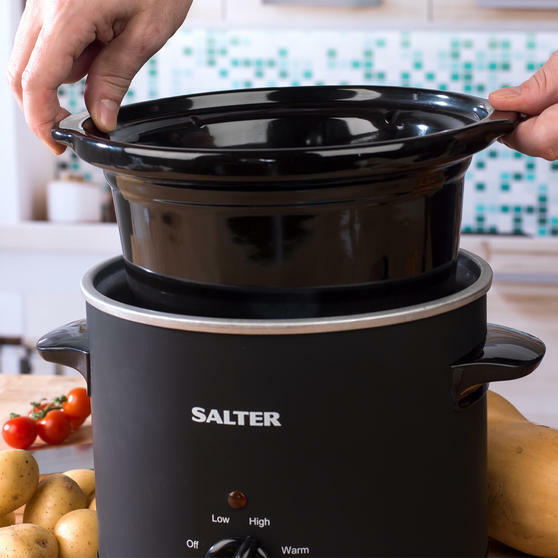 Features three heating settings for all you culinary needs, plus a tempered glass lid and cool touch handles for convenience. Includes six pieces of chalk in various colours, so you can write down ingredients, recipes and fun messages for the family.